By now you are bound to have heard all the hype created around Roland reentering the world of modulars with their presentation of a supposedly Eurorack-type line of modules in the upcoming Messe 2015. Regardless if you spontaneously aligned yourself in the yay or the nay crowd, the pressing question that should trouble modular users and get our collective mind cogs turning is “How will this affect the modular world?”, even if most of us are inclined to firstly ask “How will this affect my modular case?”. First things first, if Roland has indeed decided to go for the Eurorack format this makes for a strange strategic choice. Obviously, from a marketing perspective Eurorack is rapidly becoming the mainstream modular format and it serves as an economic introduction to all things modular; or at least by comparison, can you imagine Roland making modules in the Buchla format? Still, the Euro market remains but a niche inside the synth realm hosted and inhabited mostly by a small number of enthusiasts, a number which is indeed growing but one that does not necessarily warrant large profit margins for the big players amongst whom Roland finds itself. Does Roland’s move hint at an intention to grow the market by guiding their established audience to modularity? Or is Roland just speeding its pace to enter the market before Korg does? Cold War scenarios aside, the main barrier to the entry in the world of Euro is the casing setup itself. Any large synth company that is considering Euro as its new playground has to think long and hard on how to overcome the various drawbacks of the format, first of which is the need for an affordable, if not cheap, and trustworthy PSU system. Currently the state of cases and power systems for Euro could be considered uncharted territory (actually, if you feel bewildered on these issues HP has you covered! ), and the fact that Eurorack modulars require from their users to properly plug modules to a bus board inside the case is not something to be taken as lightly as one might think. An answer to how to power the modules would be if Roland was to eschew the available options and provide both rack frame and power, with a solution that would prevent users from plugging things the wrong way or messing with the electronic components of the module. This could be achieved by supplying users with already encased and enclosed modules, which is equivalent to throwing the ball off the company’s court by voiding all warranty if the module has been removed from its original case. But would that even be a realistic option for small modules with functionalities other than those of a complete system? That is not how modular systems work. Even if you consider this as a non-issue for yourself, it still is something Roland needs to figure out as allowing for incompatibilities between case manufacturers and blue-smoke incidents is likely to create overarching tech support demands, as well as serious friction between Roland and whosoever’s court that ball ends up landing in, whether that is the customer base or Roland’s retailers. Speaking of balls dropping, Roland has a quite a long history of aiming for its own feet. Do not rush to its defense by claiming that their latest AIRA line was a unanimous success. It could be claimed that the company itself admitted defeat by dropping the price for their System-1 product, probably after facing the (now obvious) fact that the synth is completely lacking in the velocity sensitivity sector. And while we are at it, do not get me started on the D-beams; although I am inclined to say this much: have you considered that maybe it was their love of D-beams that got Roland to consider the Eurorack crowd as prospective clients? Let’s face it, where else would you find a crowd that was as enthusiastic about a device as the Euro crowd was when the Kommander by Koma Elektronik first came out? Saying that, the Euro users have not been exactly ecstatic after seeing the teaser and the leaked pictures of the upcoming Roland modules. Commentary tends to either be negative, mild or plain humorous, mostly aiming for Roland’s previous history of failures and their lack of groundbreaking creations, an attribute which is now considered as standard for Eurorack manufacturers who constantly one-up one another, in what seems like a brotherly struggle for more! So what is it that Roland can offer indeed? There are enough replicas of Roland’s historic devices as it is: ranging from point-to-point 303 clones, to VCO’s and drum voices, as the company’s lack of interest for the modular world inclined smaller manufacturers to fill the void with varying success. One thing is for certain, there are more than enough Roland-like modules to choose from already. If Roland (or Korg for that matter) were to play their cards right, they would aim both for the current manufacturer’s weak points and their own strengths in one swoop. The Eurorack world is severely lacking in areas where Roland has quite a history of R&D, namely sampling and effects. Seeing as Roland has a long list of samplers and standalone FX units in its portfolio, it could singlehandedly push the modular world into new territories, by making a step backwards for itself and taking advantage of older schematics and previous research, delivering such products with limited fuss. It is a known fact that the modular crowd is hard pressed to find modules that can cover a lot of bases in either area. Granted, there are interesting options with very exquisite features (the MakeNoise Phonogene, the Ginko Synthese Sampleslicer, QuBit Electronix Nebulae and the new Bastl Instruments Grandpa spring to mind, as well as a very promising 4ms sampler module showcased at NAMM 2015) but the end users seem restless and eager for something that can cater to more traditional sampling needs. 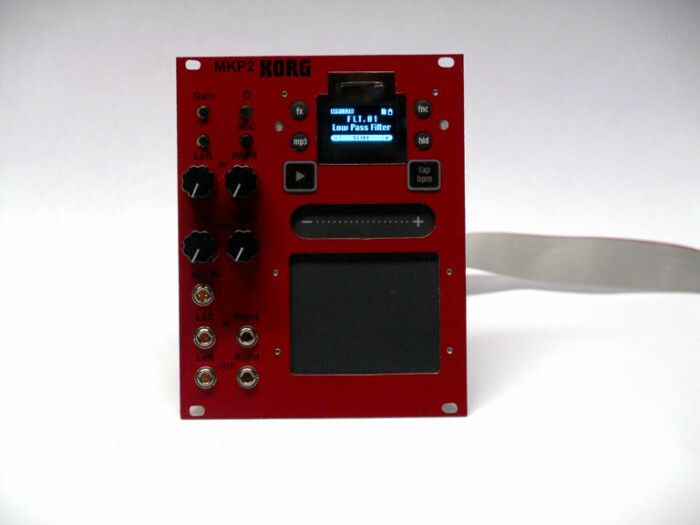 In a time where old-school rack-sampler prices are plummeting, the success of the Korg Volca Sample should not come as much of a surprise. Immediacy and fun is what most synth users are looking for and, sometimes, a way to make music away from the conveniences of DAWs. On equal footing lay the requirements for encased FX options. There is an abundance of delay modules readily available, but digital reverbs just recently transgressed from being an idea worth pursuing to becoming concrete products. For Roland and Korg, making modules like these should be quite an easy feat and something they can produce with limited resources compared to boutique Eurorack manufacturers. Additionally these are areas in which both companies have excelled in the past, giving the customers a much needed reason to consider their modules as viable options; while providing an image boost for the companies, something that Roland could most definitely use. Obviously the point that needs to be made is that Roland can really take its pick when it comes to pricing their upcoming produce whatever it is. Eurorack modules are not exactly an inexpensive commodity, so price will play a huge role in determining where in the modular market Roland lands in, or who it lands on. It is to be expected that the inhabitants of the Euro world are already concerned with how Roland will price their modules as it has the option of undercutting the average module price by a large percentage. A move like that would reasonably put a lot of pressure on the current market leaders like Doepfer, Intellijel and Make Noise, as well as some of the bigger newcomers like Mutable Instruments. In turn the manufacturers would need to step-up their game and focus on what they do best: innovation and personalized services. One of the aspects that separates modulars from the majority of synth communities is the feedback that comes and goes between customers and manufacturers. The mostly level-headed discussions regarding features and change requests on modules have been keeping the modular world afloat for years. Roland will probably have a hard time fathoming the communication and information exchange that goes on inside the forums, and it will most certainly have an even harder time channeling any information it can gather to the R&D department where it will be much needed. A recent example is Yamaha having an epiphany a few months back by opening its doors to customer suggestions, asking for opinions on what to make next. For better or worse that part of the Yamaha site is no longer available and all posts have been deleted. When it comes to Roland, innovation is not exactly one of its stronger characteristics, so if it has an ace up its sleeve that ace definitely has a dollar sign on it. It would be far too naive a proposition to dismiss the skewing of modular prices as a good thing for everybody involved. 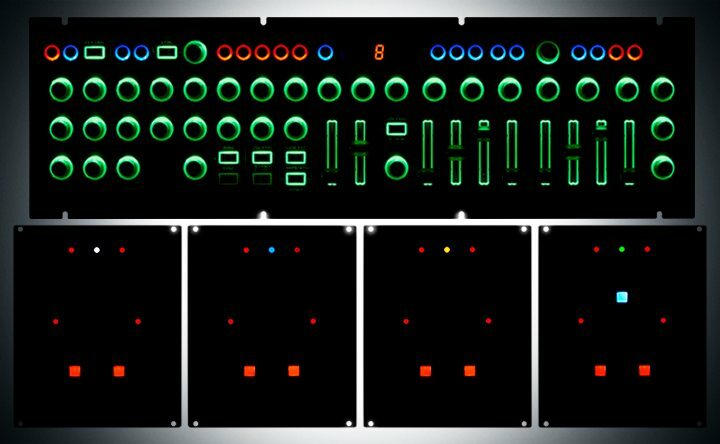 It could well be a low-price option for the current Eurorack user and a soft introduction for newcomers; after all, the addition of Roland in the Eurorack roster will certainly expand the market, probably benefiting all manufacturers involved. But if other companies cannot compete with the prices due to big differences in manufacturing scales, this could make for a lot of problems. On the other hand Roland would be stupid to aim for standard prices as the majority of Eurorack users know far too well that heavy costs are there to support small business that don’t have the power to mass-produce. Still, it is open for debate whether the flood of new-found Eurorack enthusiasts will act as life-blood for boutique manufacturers in the long run. Let us not forget that numerous companies (e.g. Mutable Instruments, Rebel Technologies, Hackme, QuBit Electronix, Microbe and others) provide their modules under an open-source/open-hardware philosophy, much to the benefit of the community, which means there are not a lot of things stopping Roland from reinterpreting small-manufacturer modules and selling them at a far lower price point. It bares pointing out that cheap Roland modules does not necessarily equal low quality products (re: Behringer), so the lower prices are likely to change the perceived value of modules and make it harder for small makers to ask the prices they have to ask in order to continue making a living. In addition to that, having more people getting into modulars is not necessarily an advantage either; it could easily depersonalize the community by leaving current manufacturers unable to cater for customer wants and needs as they do now. Seeing a surge of inexperienced users entering the market, blowing up their newly acquired modules and demanding refunds is a maker’s worst nightmare and there is no one who can attest that in the apparent future modular support will remain as is if the small manufacturers turn big. Speaking of support, abandonware is not exactly new ground for Roland (VariOs anyone?) and here’s hoping that the lovechildren of Eurorack manufacturers will stay far away from becoming it, even if the manufacturing pace speeds up too much. So, is the future so bleak? Not necessarily. The burst of new creators entering the Eurorack market will eventually wane, one way or the other, but if the entrance of big players is what cringes productions into a halt, or if it invigorates creative juices into a new golden era for synthesizers remains to be seen. Whichever way things roll, it has already started.